This is the time of year when many people set new goals for the new year. I’ve read a lot of self-help books on this subject and over the years set many unmet goals. It wasn’t until I read Kelly McGonigal’s book on willpower did I fully understand what was behind my success and sometimes lack of success. She refers to willpower as “I will, I won’t, I want power”. Our bodies are born with the ability to manage temptation and thus live vibrant and healthy lives. It is through life experience that we develop healthy and unhealthy habits. This article references some of McGonigal’s book to convey ideas about goal setting and creating new habits that support your success. Developing healthy habits is the secret to managing temptations. It is the foundation of successfully meeting new goals. It’s all a matter of being more mindful about choices that could lead you down a rabbit’s hole. For instance, if my goal is to get healthy and lose a few pounds, then I need some preparation for being tempted by foods that are counter to my goal. Preparation entails having a plan that allows me to slow the process of temptation so that I can make a better choice. My plan might be to bring attention to my breath and then imagine myself being successful in reaching my goal. This is sort of like a mini-meditation. Imagining success is motivational and it stimulates the brain, resulting in feelings of satisfaction. Satisfaction or lack of satisfaction may be the root of temptation. Many habits are born out of pure boredom, frustration, and general discontent. Grabbing for a cigarette, a chocolate, a glass of wine, etc. may just be a reaction to an emotion or lack of satisfaction. This implies that you could react need not result in an unhealthy habit. For instance, instead of a cigarette, queue yourself to take 10 slow breaths, or get up and stretch, or walk around the block. These are acts of self-compassion verses snapping your wrist with a rubber band. There are so many external factors that impact anyone’s ability to stay focused on a goal. Think of advertisers and marketers, they know how to tempt and challenge your “willpower”. Let’s call this the dopamine factor. Dopamine is the hormone in your body that helps you feel satisfied. Your sensory organs are very sensitive to dopamine’s temptations. You can test this out by going into your favorite store and see how the sights and smells help you add items to your grocery cart. Or go to your favorite store and see how your senses are affected by sights, smells, and sounds. Malls, conferences, stores, Facebook, and many forms of media tempt your neurons that impact your dopamine levels. Sales, deals, and ‘Don’t miss out’ temptations all help fire the dopamine neurons. What’s behind setting a goal? When you think about the goal, what are you defining as the “I will”, the “I won’t”, and the “I want”. What will get in your way? What habits do you have that may be contributing to the need for the new goal? As you set your goals for the new year, remember to think about all the ways your goal can be sabotaged. Think about how you can create alternatives for temptations. Be aware of outside influences that play upon your sensory nervous system (seeing, hearing, smelling, tasting, touching). Whenever you feel frustration coming on, stop and take a few breaths, feel how frustration feels in your body. Notice what part of your body receives the neurological buzz (it might be your stomach growl), then decide on what your alternative behaviors might be. Get up and stretch, shake it off, breathe. Imagine yourself being successful in reaching your goal. Over time, this different behavior can form a new and healthy habit. Write your goal down and include why you want to achieve it. Write statements that include “I want”. You can even include the “because” behind your “I want” statement. Write down the statements that include “I will” and “I won’t” as these are the how to’s behind reaching your goal. Consider what will get in your way. What stands to sabotage your success? This could include negative emotions, busy work schedules, unhealthy relationships, etc. Decide what your alternatives are to succumbing to those saboteurs. For instance, instead food, decide on breathing meditation or going for a short walk (this could include a breathing meditation). These alternatives are the new habits that help you reach your goal. Put your plan into action. When you are feeling temptation through lack of satisfaction, try implementing one of your new alternatives. Notice how it felt. Celebrate your success or adjust your alternative if necessary. Whenever you are tempted by advertising or sensory input, make it a game. You win when you realize and defeat outside factors that mess with your willpower. Name it and call it out! I highly recommend reading the book, “The Willpower Instinct” by Kelly McGonigal, PH.D. published by Avery Press. There are many tools outlined in this book that are very helpful in understanding what is behind willpower. Tamara has her Master’s degree in Science and is a Certified Yoga Therapist and Educator of Yoga. She currently offers individual and group yoga therapy sessions, as well as Buteyko Breath Education at her studio in West Seattle. 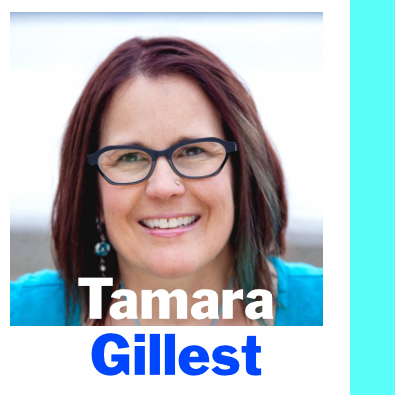 Tamara collaborates with health care professionals to support and improve individual health and quality of life with a non-invasive, nurturing experience.